Studio E is a rectangular space with a stunning skylight. An ideal space for rehearsals or company classes, the space includes built in mirrors and a piano. Located next to Studio C, in close proximity to the restrooms and water fountain. Use of indoor sneakers allowed. 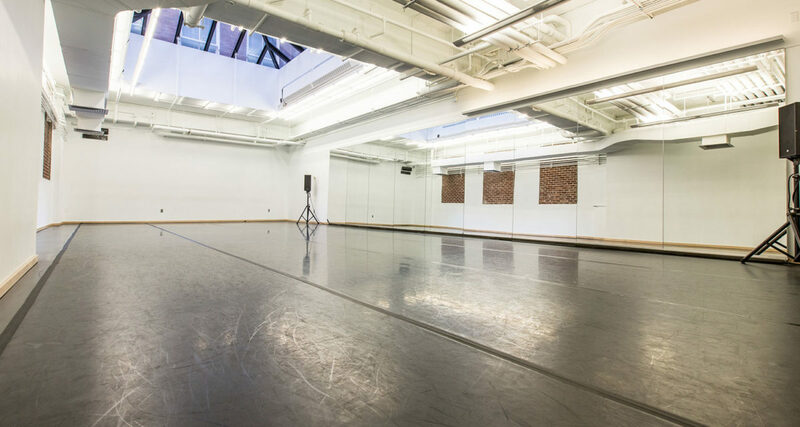 Studio E, smaller and more private than the adjacent Studio C, is a crowd favorite for company classes and rehearsals. 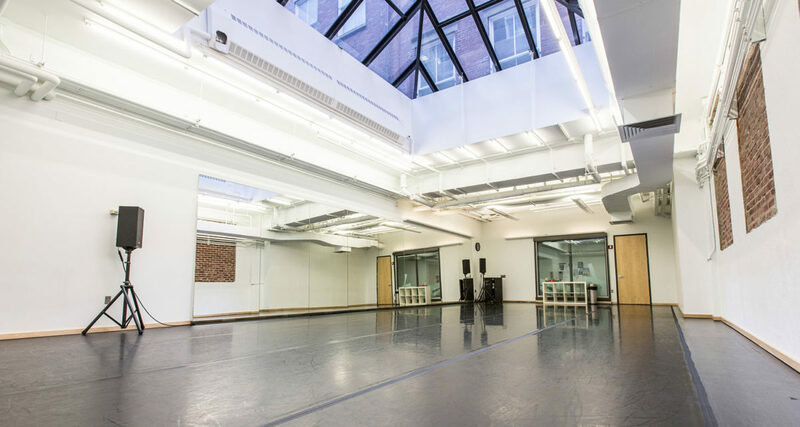 With its large, permanent mirrors, stunning skylight, and exposed brick detail on the West wall, Studio E is a flexible and practical rehearsal room—and it’s right down the hall from the brand new Next Phase Space restrooms and water bottle filling station.